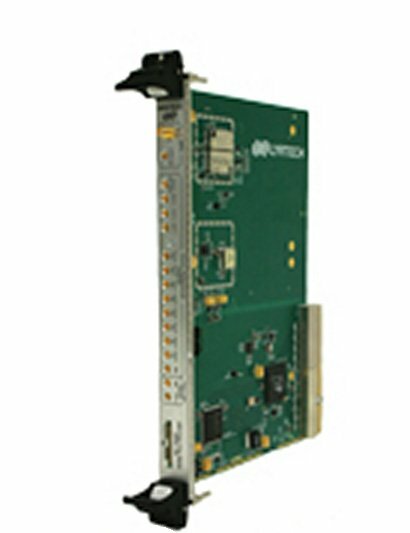 The ADACSync is a 6U, cPCI (PXI compatible), GPS-disciplined, precision low-jitter clock generator specifically designed to help synchronize multichannel system clocks, such as when synchronizing several digitizer boards or daisy chaining ADACSyncs to yield more channels (with an external input clock). The ADACSync is also equipped of a GPS module, enabling the onboard VCxO to continuously match the GPS reference (a process referred to as "GPS-disciplined clock"). The GPS position/time information is also available for DAQ applications.